Top : Shipyards : McNally Marine Inc.
McNally Marine are custom builders in either aluminum or steel. Past projects include: Niagara Falls tour boat "The Maid of the Mist, Cape Horn Trawler Yachts, Diesel Duck Passagemakers, offshore oil crew supply vessels, various gvernment vessels and refits. 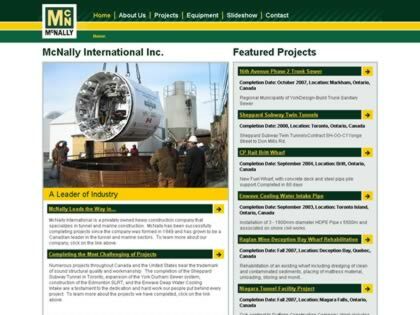 Web Site Snapshot: If available, above is a snapshot of the McNally Marine Inc. web site at http://www.mcnallycorp.com/ as it appeared when this site was added to the directory or last verified. Please Note that Boat Design Net has no involvement with the above web site; all content and images depicted in the above thumbnail are the property and copyright of McNally Marine Inc. unless otherwise noted on that site. Description: McNally Marine are custom builders in either aluminum or steel. Past projects include: Niagara Falls tour boat "The Maid of the Mist, Cape Horn Trawler Yachts, Diesel Duck Passagemakers, offshore oil crew supply vessels, various gvernment vessels and refits.